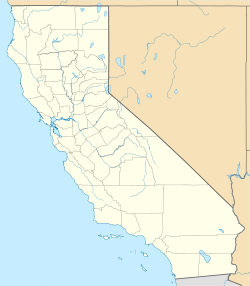 Gray Butte Field Airport is a private airport located 25 miles east of Palmdale, California. It is owned by General Atomics of San Diego. Its primary use is the development and testing of Unmanned Aerial Vehicles (UAV) for the United States Military and the United States Government. Grey Butte Field Airport, has a sister site located at El Mirage Field. During World War II, the airport was designated as Gray Butte Auxiliary Airfield (No 4), and was an auxiliary training airfield for Victorville Army Airfield, California. The wartime runways are abandoned and now used by General Atomics for their UAV testing. The airfield was assigned the FAA location identifier GVM, but on July 26, 2012, the airport's location identifier was changed to 04CA..
^ "Location Identifiers". Federal Aviation Administration. Retrieved 2012-12-19. This article about a California airport is a stub. You can help Wikipedia by expanding it.